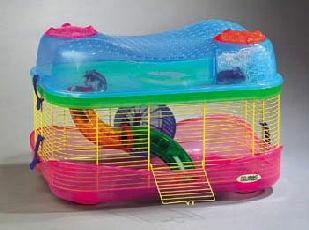 High quality with a modern Design Pastel Coloured Hamster / Gerbil Cage With Plastic Top Containing Additional Living Space. Includes Wheel & Internal Tubing. Use The Imac Fantasy Expansion Kit (product code 1600) To Add More Levels.